The approval of these codes was endorsed by the USSA General Council meeting which was held at the OR Tambo Southern Sun Hotel on 6 October 2018. The total South African delegation is estimated to be 167 inclusive of athletes, officials, medical team, support staff and media. The respective National University Sports Associations (NUSA’s) began their preparation plans for these games since July 2018 upon presenting their intention to participate at to the USSA High Performance Sub Committee, which is entrusted to advise the USSA NEC on matters of preparation and readiness of Team South Africa to compete at the games. The Director of Sport at the University of the Western Cape, Mr. Mandla Gagayi, has been appointed as Head of the Delegation for this team and is due to travel to Napoli in the first week of April 2019 to assess the state of readiness of the Host City and also the team draw. 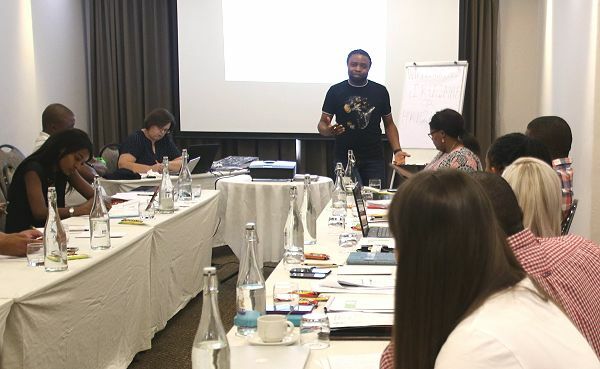 A first Team Managers workshop which was overseen by the Deputy Head of Delegation, Ms. Yoliswa Lumka, took place in the City of Tshwane on 25 January 2019. This ensured that all Team Managers are aware of the tasks at hand and familiarise themselves with the requirements of the International University Sports Federation (FISU) from athletes and officials’ perspectives. The South African Students Team achieved a total of 5 Silver medals at the previous edition of the games that where held in Chinese Taipei and they most definitely look to improve on those results. The team will depart the Country for the games on 26 June 2019, which is couple of days after their mid-year examinations. Posted by USSA Communications Team on 28 Jan, 2019.